Dimension: Water Station: 57 SQ.M. , Community Center: 59 SQ.M. 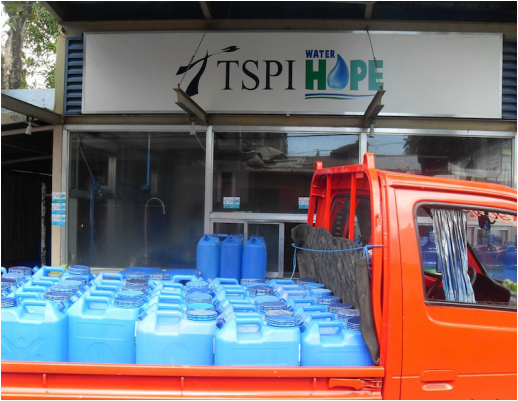 WaterHope Taguig is operated by TSPI and was launched last March 2009, in partnership with TSPI Childcare. It has 70 dealers and 52 sub-dealers. It is currently the highest performing WaterHope station, selling an average of 90,000 liters of water monthly. The adjacent community center houses the Community-based Childcare and Development learning center and is the venue for the development programs .